For most of us, the desire to improve and to be respectful of others is inherent. Many people practice some rudimentary form of lean without even realizing it. Those familiar with lean typically think first of manufacturing, and for good reason. It is commonly known that the lean movement stems from the Toyota Production System. What is becoming increasingly apparent, however, is how widely applicable lean actually is. Lean has the potential to help solve critical social issues and improve lives globally. Operationally, more efficient processes allow organizations to focus on providing more value to the populations they serve. Teaching the “Respect for People” approach is a great way to unite employees and encourage them to rally behind a specific social cause. The possibilities are endless. Back in October, Gemba Academy collaborated with nonprofit healthcare facility CCBRT and their American counterpart Kupona Foundation to create a case study on the benefits of lean in the context of social good. CCBRT, or Comprehensive Community Based Rehabilitation in Tanzania , provides critical medical care to disabled individuals, expecting mothers, and newborns alike. For CCBRT, the incorporation of lean principles has meant streamlined administrative processes, a safer environment for both patients and staff, better decision-making amongst management, and more. 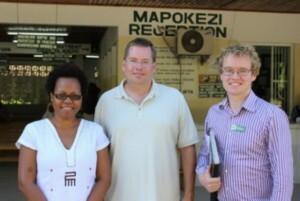 Our Co-Founder Kevin was actually able to visit the facility in Dar es Salaam and witness this transformation firsthand. Our partnership with CCBRT is only one example of how lean can change lives. 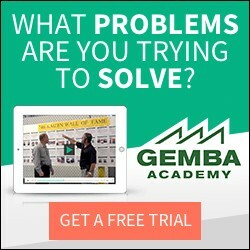 The goal of our Gemba Gives Back initiative is to thank the community that has made us successful by providing free subscriptions to deserving individuals and organizations. From small charities to veterans and everything in between, we’re passionate about making lean accessible.